Second of the spin-offs of the saga of 'Star Wars'. 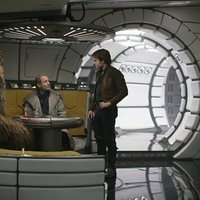 This time, after firing the directors of 'The Lego Movie', Ron Howard will get behind the camera to tell the exploits and adventures as a smuggler Han Solo and before he met Luke Skywalker in 'Star Wars: Episode IV - A New Hope'. 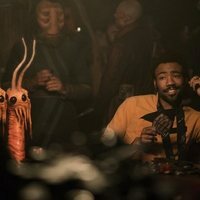 Sarcastic and with a tendency to get into trouble humor, the film will delve into the origin of Han Solo. The film will feature a young actor who will take over from Harrison Ford to slip into the skin of this mythical character of the saga created by George Lucas. 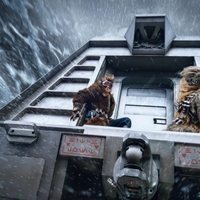 A new world and a completely different universe settle this spin-off will serve as a prequel to presentation for one of the most beloved heroes of 'Star Wars'. This movie will be the second spin-off of 'Star Wars' saga. 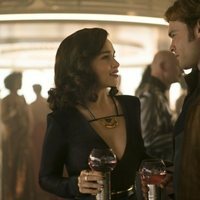 Write your own 'Solo: A Star Wars Story' review. Phil Lord and Chris Miller were directing the spin-off, but they were eventually replaced by Ron Howard. Actor Michael Kenneth Williams had shot some scenes for the film, but he had to leave due to scheduling problems when Ron Howard replaced Phil Lord and Chris Miller as directors. The story of the movie is set before what we've seen in 'Star Wars' (1977).